His All-Holiness Ecumenical Patriarch Bartholomew has rejected the Russian Church’s call for a pan-Orthodox discussion on the matter of granting a tomos of autocephaly to Ukrainian schismatics, Evstraty Zorya, the speaker for the schismatic “Kiev Patriarchate,” wrote on his personal Twitter page. His Holiness Patriarch Kirill of Moscow and All Russia wrote to all the primates of the world’s 15 Local Orthodox Churches last week to inform them about the ongoing crisis in Ukraine and to propose opening a pan-Orthodox discussion on the matter. “The Moscow Patriarchate is trying to prevent the provision of a tomos by proposing to move the issue to a discussion at a meeting of the heads of the Local Churches—with the hope of delaying the matter,” Zorya writes. “The Ecumenical Patriarch, the Church of Greece, and the Bulgarian Patriarchate have already rejected the MP’s initiative,” he adds. However, Zorya is misrepresenting the intentions of the Greek and Bulgarian Churches. While the bishops of the Greek Holy Synod are concerned about the issue in Ukraine, Abp. Ieronymos chose not to add it to the agenda of their recent session. Nothing was said as to whether Abp. Ieronymos would participate if a council of the primates were to be called. 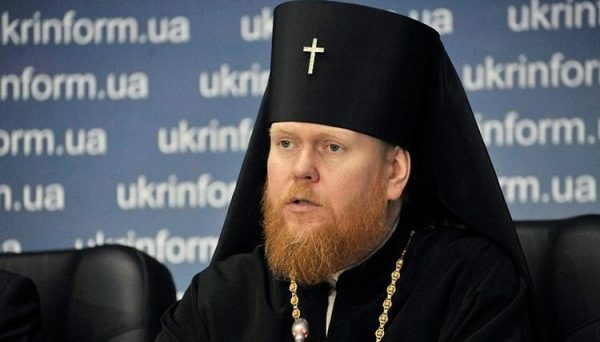 Besides Zorya, a number of media outlets are reporting that the Bulgarian Church rejected His Holiness Patriarch Kirill’s proposal to have a pan-Orthodox discussion on the Ukrainian matter, but this is a misunderstanding of the Synod’s statement. According to the statement of the Synod itself and a source within the Bulgarian Patriarchate, the Bulgarian bishops only stated that it is not their duty or prerogative to call a council to deal with matters in another Local Church. As with the Greek Church, they did not say they would not participate were a council to be called. They did, however, create a committee to study Pat. Kirill’s letter. Meanwhile, His Beatitude Metropolitan Sawa of Warsaw and All Poland and the Holy Synod of the Antiochian Orthodox Church have called for Pat. Bartholomew to convene a pan-Orthodox Council, and the Holy Synod of the Georgian Orthodox Church called for the Ecumenical and Russian Patriarchates to work the issue out together.